Cryptonex is a decentralized exchange that was launched in October 2017 with a native currency called CNX. Their end-goal is to allow the instant exchange of fiat currency for any cryptocurrency or digital token and to eventually let its users spend сryptoсurrency with debit cards and traditional payment methods. CNX can also be used to perform near-instant transactions with minimal transaction fees via the Cryptonex mobile app and payment cards. The CNX currency is based on a PoS system where users can profit from mining it and confirming transactions. On the official Cryptonex website, the team boasts that users will see a tempting 12% annual profit if they run the desktop client with CNX tokens. On top of this, owners of CNX who store their tokens via the Cryptonex desktop client can also earn CNX from the fees generated by transactions that their wallet confirms on the blockchain. Unlike many other tokens, like those built on the ERC-20 standard, Cryptonex operates independently on its own blockchain, and features its own desktop client. The Cryptonex project is being developed by a company known as Investment Financial Group, which reportedly specializes in software development for financial markets. There isn’t a lot of information available on Cryptonex; the project doesn’t have a whitepaper and its official website doesn’t provide any substantial details on how the developers intend to fulfill the project’s mission. It also promotes an ROI that sounds too good to be true (12% annually, without taking the token’s price movements into consideration). The only way to see these returns, however, is to purchase CNX with Bitcoin and keep your CNX wallet online. For these reasons, our initial impression was that Cryptonex appeared to have all the signs of being a scam, though we don’t have any solid proof. Cryptonex is a Proof-of-Stake (PoS) cryptocurrency that uses the Scrypt algorithm. PoS mining increases the circulating supply of CNX by 12% per annum. Staking users can earn block rewards and transaction fees by downloading the core desktop wallet and keeping it online for as long as possible. The larger the stake, the more often a user receives rewards. The exchange platform is still under development, but it looks like it will be accessible from the official desktop and web wallets. The developers haven’t been forthcoming about how it will work. Without a technical whitepaper, it’s impossible to tell how Cryptonex improves on existing decentralized exchanges. The goals of the project appear similar to those of other decentralized crypto exchanges, like Kyber, Blocknet, Komodo, Binance, etc., but that’s not necessarily a bad thing. Competition is always welcome in a decentralized market. To attract new users, the Cryptonex team reportedly airdropped 1,000 CNX tokens to random MyEtherWallet (MEW) wallets in October 2017. The tokens were to be traded for CNX coins with no conditions via a series of bounty projects. It’s unclear whether that marketing gimmick worked, but the value of CNX has tripled since its launch. Cryptonex’s initial market cap was ~$60 million USD, and it now sits between $200 and $300 million USD. The price of CNX hovers at ~$5. Cryptonex can only be acquired from HitBTC and YoBit. For storage, you can use the official desktop wallet that’s available on Windows, Mac OS X, and Linux, or the official web wallet. 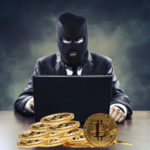 Since its launch, Cryptonex has been dogged with scam accusations from multiple sources in the crypto community. The project hasn’t provided any information on how it plans to accomplish its goals, its proposed use case isn’t particularly unique, and CNX can only be acquired on two exchanges. When you consider all these factors, it’s not really surprising that Cryptonex has very poor market liquidity despite having such a high value. Be wary if you’re thinking of investing.